Board Game Quest has another new preview article up. This time it's for Bring Out Yer Dead. And feel free to reply with your favorite Monty Python quote below, just because. When my gaming group gets together for our Dungeons & Dragons nights, we have a few requirements. My wife makes an awesome dessert, someone brings cold beer, and we make as many old movie references that we can fit into the limited time we have to play. One of the movies we quote with some frequency is Monty Python and the Holy Grail. One of the scenes is set in an filth-ridden town where people are throwing their deceased family member into a cart. If you have ever wanted to do that in a board game, you are in luck, because Bring Out Yer Dead allows you to do exactly that. 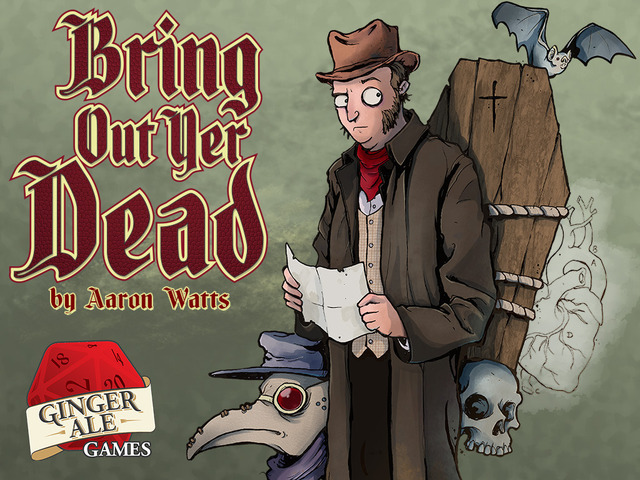 Bring Out Yer Dead is action programming and area control game looking for funding on Kickstarter. In Bring Out Yer Dead, you are trying to place your dead relatives into the best spots in the cemetery for your own gain. The theme is one of the more interesting and frankly morbid I have played recently, but let’s get into the preview to see if you would like to support this solidly designed game.